At Yeretsian Law, our lawyer Lara Yeretsian is passionate about protecting your rights before and after an arrest or criminal charge. Our goal is to find the best outcome in your case. 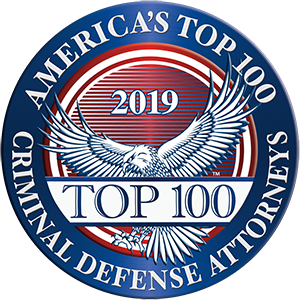 We achieve this by thoroughly investigating all factors in your case and by using our knowledge and experience in successfully handling criminal defense matters in California and in finding a creative solution for you. Your fears and concerns for the future are important to us. We will address your concerns and provide the guidance you deserve. What else can you expect from us? Honest advice, compassion and integrity when handling all matters related to your case. We will be your advocate in every aspect of the criminal process including pre-filing investigations, recalling warrants, all court proceedings including preliminary hearings and trials, post-conviction matters, writs and some appeals. As an experienced trial attorney, Lara understands what is at stake and what action to take to protect your future. Our reputation for achieving positive outcomes for our clients is due to our persistent and unsurpassed skills in negotiating the best plea bargain terms and in successfully trying cases that need to be tried. We also understand the impact collateral consequences of a plea, including immigration consequences, licensing issues and other administrative and disciplinary matters, may have on your life. While negotiating the best plea bargain for you, we take into account all collateral consequences of your plea and creatively craft a plea deal that either neutralizes these collateral consequences or gets rid of them altogether. Consequently, we work closely with immigration lawyers and other experts to ensure your rights are being protected and all options are explored to protect your professional licenses and to keep you in the United States. We also represent clients in administrative matters involving DMV hearings, licensing matters and other administrative hearings. Criminal charges can ruin your reputation and your future. We work hard to ensure your rights and your future are protected. Contact us right away if you are under investigation or have been charged with a crime. Call 818-741-1220 or send us an email to arrange a free consultation. We speak Spanish, Arabic and Armenian.